The island of Saint Barthélemy, casually known as Saint Barth or Saint Barts, is an island in the Caribbean with an area of 24 square kilometers and a population of 8,398 inhabitants. One of the things that make the island seem more mysterious is its rugged shoreline encircled by sparkling white sand. Considered one of the oldest volcanic islands in the Lesser Antilles, its dry, rocky soil is not suited for agriculture. Its fauna, while seemingly rare, has an unusual diversity: iguanas, land and sea turtles, and marine birds, from the pelican to the charming little hummingbirds. The flora grows as best it can, depending on the weather, as there is not always enough rain. Yet this does not inhibit the proliferation of multicolored flowers in the gardens of island homes. Saint Barthélemy was formerly a town within the department of Guadeloupe but after a referendum the island separated and became an Overseas Collectivity in 2007. During his second voyage in 1493, Christopher Columbus discovered Ouanalao, a small, scrubby island frequented by the Carib Indians. Columbus renamed this tiny island with the name of his brother, Bartholoméo. The island proved of no interest to those early colonists who were in search of new continents rich with gold and other treasures, so Columbus left the island behind and went on to other discoveries. The island was colonized by France in the 1600s with Monsieur de Longvilliers de Poincy who decided to establish a settlement. Turbulent times were ahead and the French left the island in 1956 but returned in 1959. Saint Barthélemy was made a possession of The Order of Malta in 1665, but in 1666 all of the inhabitants were sent to Saint Kitts against their wishes, as a new Irish colony was established. This attempt was a failure as the inhabitants of Saint Barthélemy quickly returned to claim their lands by 1674 and remained a French possesion. In 1784 Saint Barthélemy became a Swedish possession after France ceded the island to Sweden. An era of uncharted prosperity began with King Gustav. 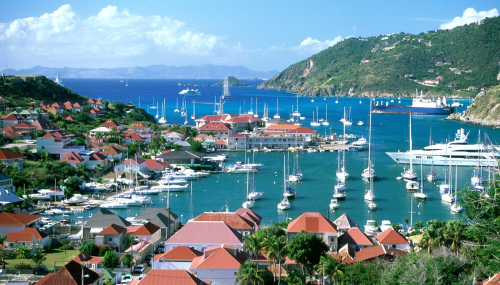 During this period the town of Gustavia was founded and developed as a duty-free port. In 1852 the island was ceded back to France. Despite this, it is impossible to forget that the island once belonged to Sweden. Many of the Swedish buildings still exist, such as the former town hall, the Brigantine, and the clock tower, built on a stone base with wooden walls. There is also the mysterious Wall House, which has been renovated as home to the territorial library and the island’s heritage museum. Nowadays, Saint Barthélemy is the wealthiest island in the Caribbean and has a very high quality of life. It is a premier tourist destination attracting more than 200,000 visitors each year. Johanna Sansano, Miss Monde Saint Barthélemy 2011, will be the very first representative from this wonderful paradise in Miss World. The Times of Beauty proudly presents Johanna Sansano, Miss Monde Saint Barthélemy 2011, in an exclusive interview for our interview series, Meet the Misses. First, my job takes a big part in my life. I just finished my studies and I work as a journalist and director at a new French Channel called BeBlack. It is a real pleasure to be working in this brand new channel. I'm very perfectionist, ambitious and full of dreams but also realistic. I don’t fix a limit to my success. I hold on to my dreams, I work harder and harder and step by step because I know I will find my place. From the morning to the evening, I show a smile on my face to give a positive feeling to people because I’m optimistic by nature. I’m a passionate person, when I do something, I do it to the fullest and I give my best. Since I've been selected to represent St. Barts in Miss World, I’m very focused on it. St. Barts is more than a paradise island. It’s a dynamic place with a multicultural society. On this little rock, you can meet people from all around the world, share culture and discover so different lifestyles. It's a real melting pot. When people hear about St. Barts, they usually think of diamonds, yachts and celebrities but St. Barts is more than that. I love the wild side of my island, a multifaceted diamond. St. Barts' people consider the nature conservancy as an essential value. The spirit of St. Barts rejects urbanization, even though this island is a very famous place. We are proud of our authenticity! You're welcomed in St. Barts, I'll make you see the island through my eyes! First, it's obvious that it's a real honor to be the first ever Miss World contestant from St. Barts. It took me time to realize the real meaning of this title. Now, I'm self-confident and I will do my best to be a good representative from my country at Miss World. Above all, I really want to make St. Barts' people proud of me. The multiracialism is the strength of the island and I'm proud to be mestiza and show to the world the many faces of St. Barts. No doubt, I choose Free by Stevie Wonder. This song brings me so much energy and enough motivation in the morning to start a good day. The lyrics are very powerful, for instance, this sentence is always in my mind: "Me having nothin', But possessing riches more than all and I'm free". It's like a motto, whatever happens in my life, I'll never forget this advice. I am used to wake up early. 24 hours is too short to do what I want to do. I need music to be in a good mood. After a good breakfast, I go to the gym and afterwards the working day starts. I work in a channel called BeBlack, I work as a journalist and director but since we are a small team I'm able to handle any tasks. When I'm not in a record studio, I work on other projects like video clips for singers or future TV shows. That's the reason why I love my job, every day is different. I'm afraid of daily routine. After a long working day, I love cooking with music. Even when I am resting, I keep thinking about my work and futures projects because it is more than a job, it is a passion. Let me think…. I will be 31 years old! I hope I will be accomplished in my career and respected in the media industry. I will host a TV show dealing about culture and society subjects. I will certainly work on others projects like video clips, cinema or producing singers. The most important thing for me is to be recognized by my projects, not just be famous. I don’t want to leave without a trace. Regarding my private life, I dream to have an accomplished family life because I just grew up with my mother. It’s an essential point for me. St. Barts is a very interesting place. So many famous people visit the island, that celebrities are not really an issue. I just admire the work of people who helped building St. Barts. If I had to choose someone, I’d say David Rockefeller because he bought a property in St. Barts in 1957 and thanks to him the fame of St. Barts grew. The most important for me is that he picked St. Barts for the wild side of the island and hopefully it will not change. Rockefeller wasn’t just a businessman, he was also a philanthropist, and above all, he found the real spirit of my island. I would probably choose the USA because it is dream of mine since I was a little girl. I like their vision of entrepreneurship and leadership. I’m fascinated by the fact that success is independent of your origins, race or religion there. Everyone can be successful and I want to be proud of my success. Nuclear issue is far too complex to make a strong statement about it. It’s easier to speak the side effects of nuclear energy. It’s obvious that governments should be more careful about it. Oil reserves aren’t endless so we have to focus on other source of energy. We need to focus on renewable energy and obviously nuclear energy should remain available with strict regulations. I think one of the worst injustices is the lack of access to education. School isn’t just a way to learn reading, writing or mathematics, school gives you the chance to realize and use your brain to fight for your ideas and convictions. Education is a key factor to make population understand and interact with our society. 11. What are your duties as Miss Monde Saint Barthélemy? Since I’m the first ever Miss World contestant from St. Barts, I know that I have to be perfect. 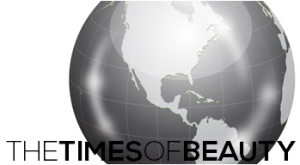 I’m the first beauty queen from St. Barts competing in an international beauty pageant. For some people, I will be their first contact or image regarding St. Barts so I have to do my best to represent it fairly! I want to show all the facets of this wonderful diamond, wild, shinny, natural, chic, mixed and engaged island. Above all, I want to make sure that St. Barts still remains a dreamy island for the rest of the world. Social media are essential nowadays; people are more and more connected and want to stay in touch. Using social media is very tricky. It is a way to spread messages faster, to more people and with more impact but it can be also controversial and dangerous. We need to live in a real life and not forge our real values. I realized the power of social media during Obama’s election; I am convinced that it has to be used as a marketing and communication tool. Being human is about emotions, intelligence, love and spiritual questions. It’s fascinating how we can learn, change and improve. I think sharing with other people is essential, it’s priceless. My career, my mum, my future family and my friends are essentials to me. I want to make a difference and leave a mark in the media industry. It’s my first beauty contest so I hope I make St. Barts’ people proud. Whatever happens I will do my best, and in London I will do my job. I worked for it. Personal Motto: You only live once, but if you do it right, once is enough. Personal Dream Destination: So hard to define, I just want to discover other countries all around the world. Favorite Food: No doubt, I’m crazy for the lobster pasta served at Ti Zouk K'Fé, a typical restaurant in St Barts. Favorite Color: I’d say gold because is the color of ambition, dreams and victory. Favorite Song: «Turn your light down low» by Bob Marley and Lauryn Hill, this song inspire me and gives me positive feelings. I’m very energetic so it helps me to kill my stress. Favorite Singer/Band: Such a hard question for a music addict like me. Before this interview, I listened to James Brown, This man is an inspiration. Talented people never die and can’t be forgotten. Favorite Actor/Actress: I’d say Denzel Washington because his name is a good reason for me to watch a movie. Favorite Hobby: No doubt, listening to MUSIC! Life without music would be so sad. It’s a natural medicine for me. Favorite Sport: I danced since I’m a young girl and I always dream about being a dancer.